Check out these new fiction and non -fiction titles from 24-25 October Spectrum, you can request them from the Library. Set in Sydney in the first decade of the 1900s, Long Bay is based on the true case of a young female abortionist who was convicted of manslaughter and served out her sentence in the newly opened Long Bay Women’s Reformatory – the first of its kind in Australia. The woman, Rebecca Sinclair, was pregnant when she went to prison. 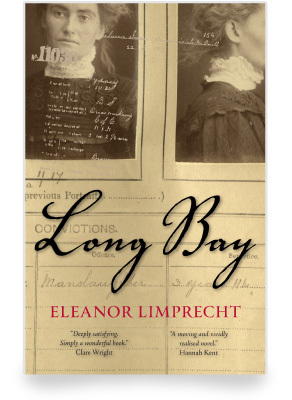 Long Bay is a compelling fictional account of how Rebecca became involved in the burgeoning illegal abortion racket in Edwardian-era Sydney and how she was drawn into Donald Sinclair’s underworld. In unadorned prose, it examines the limiting effects of poverty, the mistakes we make for love, and the bond between mother and child. 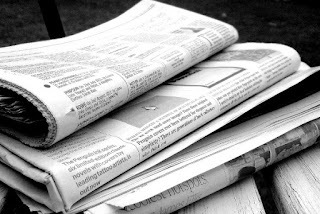 The Long Haul offers a series of practical lessons on leadership and public life from John Brumby's thirty years in politics. It gives insights into the challenges and opportunities Australia currently faces and argues for real political reform, a different future for our federation and strong leadership in a world in transition. By turns hilarious and moving, Amanda Keller takes us on a nostalgia filled journey through her life. From her childhood in sunny Brisbane to her daggy teen years in suburban Sydney. Then onto heady college days in Bathurst, where wine was called 'claret' and came in a box, and finally to establishing a stellar career in TV and radio. Along the way she falls in love with 'a nice Kiwi boy' who becomes her husband and she tells the story of the arrival of their two hard-won sons. But without too many icky bits. Amanda also takes us behind the scenes of her TV career - from the challenge of turning on a typewriter at Simon Townsend's Wonder World! to the fun of travelling the globe for Beyond 2000, despite having no scientific background and absolutely no sense of direction. More recently she was able to officially represent an entire generation on Talkin' 'Bout Your Generation and share a couch with three blokes and the odd snake on The Living Room. Amanda loves 'the wireless' and looks back on twenty years of radio. From sharing a mic with Andrew Denton on Triple M to topping the breakfast show ratings with Jonesy on WSFM. 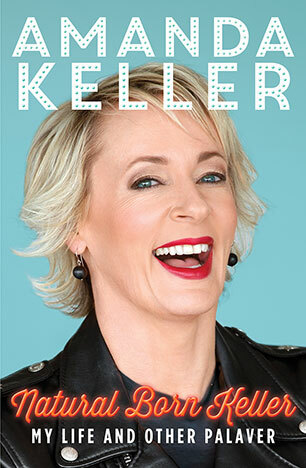 Vivid, funny and hugely entertaining, Natural Born Keller will have you laughing out loud, nodding in recognition and occasionally bawling uncontrollably - in a cathartic sort of way. 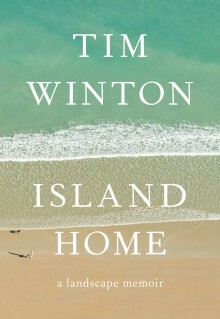 This apparently simple fact is the starting point for Tim Winton's beautiful, evocative and sometimes provocative memoir of how this unique landscape has shaped him and his writing. For over thirty years, Winton has written novels in which the natural world is as much a living presence as any character. What is true of his work is also true of his life: from boyhood, his relationship with the world around him – rockpools, seacaves, scrub and swamp – was as vital as any other connection. Camping in hidden inlets of the south-east, walking in the high rocky desert fringe, diving at Ningaloo Reef, bobbing in the sea between sets, Winton has felt the place seep into him, with its rhythms, its dangers, its strange sustenance, and learned to see landscape as a living process. In 1995, Bill Bryson went on a trip around Britain to celebrate the green and kindly island that had become his home. The hilarious book he wrote about that journey, Notes from a Small Island, became one of the most loved books of recent decades, and was voted in a BBC poll as the book that best represents Britain. Now, in this hotly anticipated new travel book, his first in fifteen years and sure to be greeted as the funniest book of the decade, Bryson sets out on a brand-new journey, on a route he dubs the Bryson Line, from Bognor Regis on the south coast to Cape Wrath on the northernmost tip of Scotland. Once again, he will guide us through all that's best and worst about Britain today while doing that incredibly rare thing of making us laugh out loud in public. When another MP shoots a corpse in a brothel, the delicate balance between the military police, South Vietnamese gangsters and the Viet Cong is upset. Nashville and his partner are drawn into the heart of the matter by their violent colleague Sergeant Caution, the obsequious landlord Moreau, the improbable entrepreneur Izzy Berger and the mysterious, omnipotent Mamasan. Events begin to force the pair to uphold the law and eventually to take it into their own hands. Amory's first memory is of her father standing on his head. She has memories of him returning on leave during the First World War. But his absences, both actual and emotional, are what she chiefly remembers. It is her photographer uncle Greville who supplies the emotional bond she needs, and, when he gives her a camera and some rudimentary lessons in photography, unleashes a passion that will irrevocably shape her future. A spell at boarding school ends abruptly and Amory begins an apprenticeship with Greville in London, living in his tiny flat in Kensington, earning two pounds a week photographing socialites for the magazine Beau Monde. But Amory is hungry for more and her search for life, love and artistic expression will take her to the demi monde of Berlin of the late 20s, to New York of the 30s, to the Blackshirt riots in London and to France in the Second World War where she becomes one of the first women war photographers. Her desire for experience will lead Amory to further wars, to lovers, husbands and children as she continues to pursue her dreams and battle her demons. 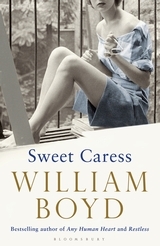 In this enthralling story of a life fully lived, William Boyd has created a sweeping panorama of some of the most defining moments of modern history, told through the camera lens of one unforgettable woman, Amory Clay. It is his greatest achievement to date.